ARE YOU READY TO HAVE THE BEST HOLIDAYS EVER? Join Transcendence, the award-winning creators of “Broadway Under the Stars,” for this new and reimagined holiday celebration for all ages, with performers from Broadway shows such as HAMILTON, MAMMA MIA!, LES MISERABLES and WICKED. You’ll have the time of your life enjoying a spectacular surprise of song and dance packed with showstoppers, holiday favorites, and modern twists on some of the worlds most uplifting and cherished songs. Get ready to feel renewed, rejuvenated, and reconnected with the music of the holidays and the magic of Broadway. "Historic downtown Napa house gets rehab and resale"
Magalli Yoho doesn’t mess around when it comes to flipping a house, even a historic downtown home that’s 126 years old. Yoho, who has previously lived in Napa, is a real estate investor and renovator. Back in October this house hunter bought the Ingalls house at 2133 First St., near the entrance to downtown Napa. The home was originally built in 1892 for one of Napa’s earliest business owners, Wilfred Ingalls. For the past 27 years it had been home to then-city council member Juliana Inman and her family. 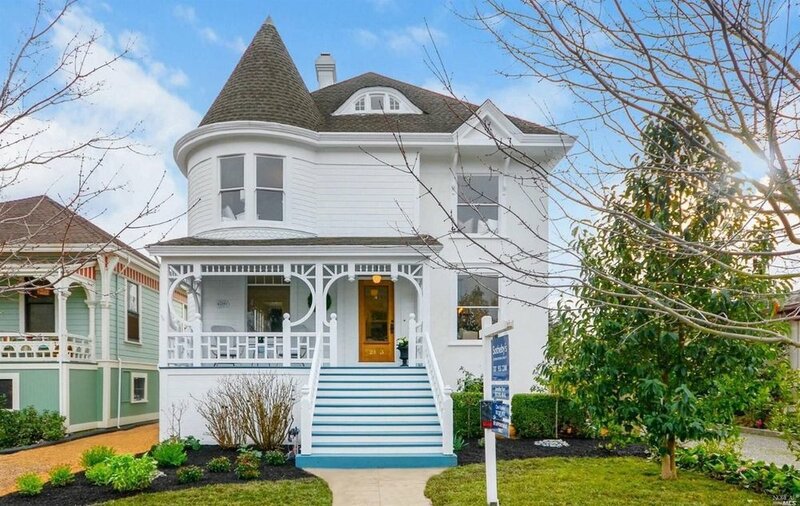 Yoho bought the home from Inman for $802,000. Today, after just 10 weeks of work, it’s listed for sale for $1.24 million. Yoho said the Queen Anne Tower House caught her eye when it was first listed for sale in 2017. In less than three months, Yoho had the Ingalls house completely rehabbed, from top to bottom. Mark your calendars, Tomatomania! returns to Cornerstone April 14 + 15, 2018. Expect almost 150 varieties of tomatoes this year as we showcase over 30 varieties that we have never before brought up to Sonoma, including our Tomato of the Year, Madame Marmande. We’ll set up in the new outdoor kitchen space that Sunset Magazine custom designed since their arrival at Cornerstone a couple years ago. When you join us you’ll also get to see the progress in all the Sunset display gardens, as well as sample terrific Sonoma wines, grab a great lunch and shop some amazing specialty stores too. These classes will be scheduled during the event to offer garden inspiration & guide all your efforts this summer. 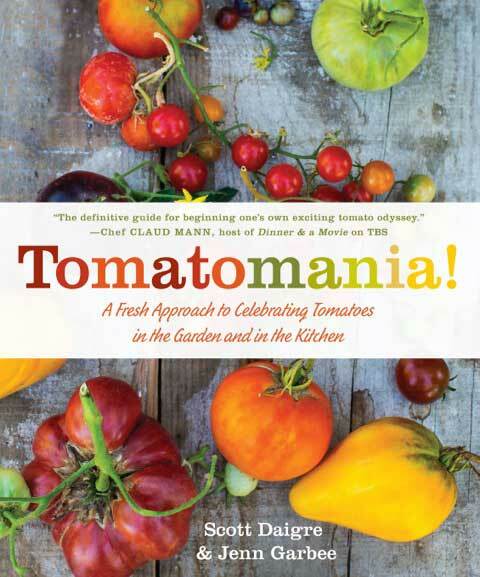 Author, Garden Designer and Tomatomania Producer Scott Daigre will discuss all the right moves that will ensure your summer is full of tomatoes. From planting and pinching to watering and fertilizing correctly, Scott will cover every aspect of a successful summer in the tomato garden! Tomatomaniac and trend setting Northern California Tomato Hybridizer/Grower Brad Gates will discuss his newest tomato varieties, the “blue” brainstorming and the oh so important garden good fortune that have resulted in Berkeley Tie Dye, Black Beauty, Lucid Gem and so many striped and blue varieties that are setting the tomato world on fire. Both days we hope to offer guided tours of the Sunset Display and Test Gardens. Learn the designers’ tricks of the trade; ways to make the most of a space and showcase appropriate plants, ornament and structure to best effect! Don’t miss it! More details will be forthcoming and all classes are free! The Napa Ice Skating rink is open at the Napa Expo from November 17th through January 7th. General Admission - $13 Includes unlimited skate time (no in and out privileges) and skate rental. VIP Admission - $15 All day skating with in and out privileges. Must have wristbands on to return. Military, Police, and Fire Discount - $10 General Admission and $13 VIP Admission. Must Show ID. This year Cornerstone is bringing the spirit of the holidays to Sonoma with a beautiful Skate Rink. The Ice rink profits are to benefit fire victims and relief efforts via Redwood Credit Union's North Bay Fire Relief Fund. Open November 25th through January 2nd. Experience Sonoma Valley California as we celebrate the fifth annual Holidays in Sonoma. Enjoy 8-acres of 100,000+ sparkling lights, music and performances, holiday treats and more. On Saturday, November 18, Holidays in Sonoma kicks off with the Lighting of the Historic Sonoma Plaza. The acclaimed Transcendence Theatre Company will be back for the fourth year, to perform a musical holiday tribute to the destination. Music starts at 5:00pm. The event will also include presentations by community leaders, and a live band performance on stage in front of City Hall. Hot cider, hot chocolate, and cookies are complimentary. Guests are invited to bring beverages, including beer and wine, to the Lighting of the Historic Sonoma Plaza event. The lights on the Historic Sonoma Plaza will be lit each night November 18 – December 31, 2017. Each of our nationally acclaimed Plein Air Artists paint 8-12 paintings during Plein Air Week out and about in Sonoma, Marin and SanFrancisco. Enjoy FREE ADMISSION to the art show, watch artists demonstrations, enjoy live music and participate in hands-on art activities for all ages, including children’s art classes directed by Sonoma Plein Air Foundation grant recipient Sonoma Community Center. The Bay Area is already well-versed in the food-wine-outdoor activity trifecta that Sonoma has going for it, but the city's attributes are being recognized others: Sonoma has earned a top spot in one of U.S. News & World Report's newly released Best Vacation rankings for 2017-2018. The news site selected the Northern California city as the "Best Small Town to Visit in the USA," suggesting Sonoma is a better wine destination than Napa. U.S. News & World Report described Sonoma in glowing terms, calling it a county known for "its bucolic charms and array of wineries" but also "Napa's rustic, less-refined and more-relaxed sister." U.S. News & World Report looked at cities with populations of 100,000 people or less that offer a number of restaurants and attractions to make them worthy destinations for the vacation-taking public. Colorado is the state that had the strongest showing on the list, taking up four of the 15 slots on the list. California followed that with three cities named as the best small town to visit; along with Sonoma, both Lake Tahoe and Monterey earned a mention. The "best small town to visit" category is a new one for for the news and rankings publication, which annually releases its list of vacation destinations to the public. Another new category among the U.S. News & World Report vacation rankings is the Best National Parks in the USA. Ten places were selected among the country's 59 national parks, with the site using both park visitor and travel expert opinions to come up with the list. Yosemite National Park managed to snag a spot, although some would argue it should have gotten a higher ranking. It's almost the time of year again when the Sonoma Plaza rolls out the red carpet for the Sonoma International Film Festival! Be sure to check the event calendar here and purchase your tickets in advance. For more information, visit www.sonomafilmfest.org. Food, wine, and family fun. The CIA at Copia has it all! With cooking classes, wine and beverage explorations, chef demonstrations, wine tasting classes and more, there is always something new to learn. The Restaurant at CIA Copia offers an uncommon experience. Chefs—inspired by global flavors and fresh ingredients—bring their creations directly from the kitchen to your table to choose from and share. Come eat, drink, and enjoy time with friends! Enjoy the wine country with these great deals! It’s time to book your Sonoma Sneakaway today — fantastic travel deals are blooming in Sonoma Wine Country. You’ll find hot travel deals for lodging, wine tasting, dining and more. Throw in a spa treatment, a ride on a wine trolley, or even a cooking class and you have the makings for an amazing getaway. Sonoma County offers more than 425 wineries, miles of rugged Pacific Ocean coastline, towering redwood trees, an abundance of nature parks, and amazing local restaurants. In addition to the special offers, Sonoma Sneakaway includes a chance to win a trip to Sonoma County. Looking for flights to Sonoma County? Find information on how to get to Sonoma County. Get a free Visitors Guide and Wineries Map here. We invite you to enjoy local barbeque and enjoy our "backyard" at the winery. The Olive Grove will carry you from side to side with bluegrass and lawn games. Reserved seating is guaranteed for the first 50 guests to purchase tickets, additional seating may be available on a first come first served basis. Join us for the whole day or just come and relax while you enjoy some delicious BBQ! Sip on your favorite Rutherford Ranch Wines and enjoy delicious BBQ! Option 2: Wine Club Day! Start the day off with an in-depth look at some of Rutherford Ranch Winery’s newest wines. This release tasting will feature 4 wines each paired with 2 culinary bites. After enjoying a release tasting, join in the fun at our Harvest BBQ! Sip on your favorite Rutherford Ranch Wines and enjoy delicious BBQ! 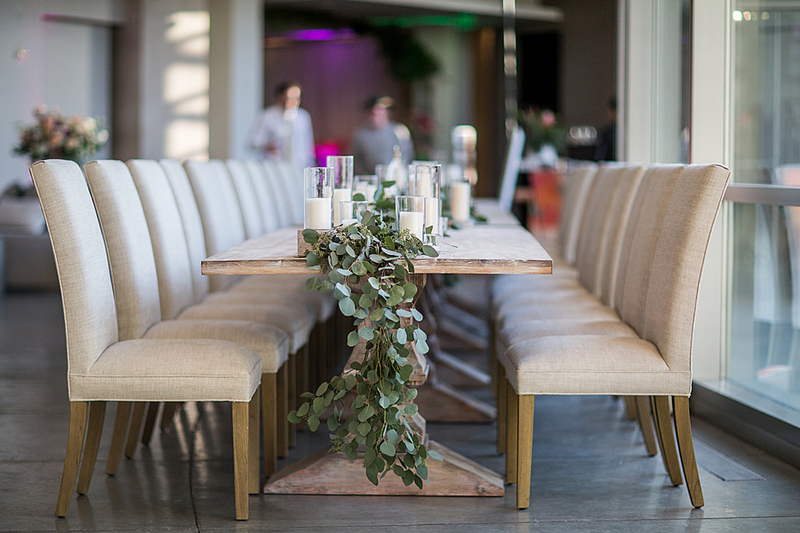 is a series of private, intimate, must-attend gatherings that place seasonal, local and sustainable American Grown flowers at the center of the table where locally grown food, beer, and wine is served by a farm-to-table chef. Each artisan-style dinner will be held at a unique venue — an American flower farm that encourages guests to experience the age-old art and science of flower farming. is like none other. You will make a personal connection between flowers and agriculture as part of our country’s farm landscape. Along with lively conversation between dining companions new and old, guests will share platters of delicious, seasonal and local food. They’ll meet others who are passionate about preserving American grown flowers, farmland, and our country’s floriculture roots. While enjoying this seasonal meal, the focus is drawn to the botanical beauty of petals, stems, foliage, vines, buds and berries — artistically arranged to bring sensory pleasure to the experience. The attention is on our flowers, our farmers and their farms, and on the floral designs they inspire. As we enter the Spring, it's a perfect time to plant window garden boxes. These beautiful additions will increase any home's curb appeal and is a very popular style in the Wine Country.